Life in general garners a lot of stuff. And life with children adds even more stuff. Sarah Guthrie, a mother of three from Mantachie, exclaimed that one day she looked around and realized her family was swimming in excess. She turned to consignment as a means to clean out as well as make some money for a summer vacation. Whether it is changing styles, preferences, sizes, or interests, some items are only meant to be in our life for a season. There are many avenues available for people to rid their life of surplus items as well as reap the benefits of purchasing used goods. Gathering your items and taking them to a consignment shop is one hassle-free way to purge. With a percentage of the sales as commission to the store, this method takes advantage of the store handling the pricing, marketing, and selling of your items. For those who are restricted by time this option is ideal. 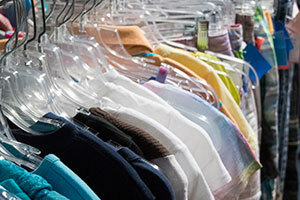 Consignment stores are neatly organized and an easy way to find gently used goods. It is similar to shopping in a regular store but allows you to benefit from the lower prices and diversified items. Veteran consignment store shopper, Lizzy Schoup of Pontotoc, recommends checking back often since new items come in regularly; check larger sizes to buy for upcoming seasons; and rack up extra savings during clearance sales. Local consignment stores in Tupelo include, Lit’L Sprouts & Shabby Chic, Lollipop Boutique, and Once Upon a Child. 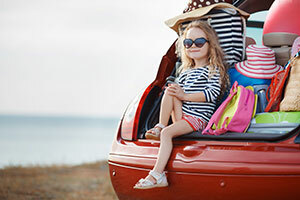 Children’s seasonal consignment sales typically take place in the spring selling spring and summer clothes and in the fall selling fall and winter clothes. Not just clothes, most consignment sales have a plethora of baby gear, toys, sports equipment, and all things children. The coordinator of the event takes a percentage of the profits as well as a registration fee to pay for the rental facility and the barcode tagging system. Sellers typically make a larger percentage than at a consignment store, however it is more labor intensive since the seller is responsible for entering their items into the computer and tagging them. children’s closets before the sale and making a list of the items and sizes they need in particular. She stresses that entering a sale with a game plan is important to prevent becoming overwhelmed since some sales have hundreds of thousands of items. Other tips consignment sale shoppers passed along include bringing something to carry your purchases in, such as a laundry basket, wagon, or large tote. Also, volunteer at the sale to take advantage of having first ‘dibs’ on items before it opens to the public. Look for items such as toys, gear, and shoes first since there will be a limited number and they typically sell quickly. Lastly, take advantage of the discounted prices and purchase items to set aside for birthday and holiday gifts. Area seasonal consignment sales include New 2 U Consignment in both Tupelo and Columbus, Oxford WeeCycle in Oxford, and Cooper’s Closet in Columbus. 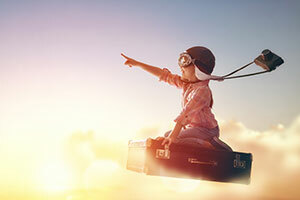 Niche groups that specialize in the buying or selling of specific items include Little Rebels Resale, Cabi Resale, Smocking Hot Mamas Smocked Resale, and the list goes on and on. The seller adds a few dollars onto the price to include shipping. Some people choose to pass their possessions on to someone else to not only help others but for a tax write-off as well. Local charities survive on donations and so this is an excellent way to clean out. Sanctuary Village Shoppe, City Thrift, and Goodwill all in Tupelo are among local stores that resell donations. Regardless of how you decide to purchase or purge items, there are many avenues that make it easy and advantageous. Kathryn Rhea resides in Tupelo with her husband, Harris, and two children, Clayton and Charles. She enjoys the thrill of consignment shopping however is working towards purging excess items in their home through resale.